Over a period of a few decades, Michigan's economy went from one of the country's strongest to one its most depressed. Michigan became complacent, stood still, and lost its innovative edge. After years of its industries drying up or moving jobs out of state, many people looked around and thought, "What happened and what do we do to fix this?" Grand Rapids native Jon Vander Pol's documentary Exported From Michigan explores the many Michiganders who are answering these questions and creating new and innovative ways for Michigan's economy to move forward. The film does not cast blame but instead preaches hope through the stories of Michiganders from varied backgrounds who believe in the state's future. The film's main narrative follows the University of Michigan Solar Car Team's race at the World Solar Challenge in Australia. Comprised of students from several academic disciplines, the solar team relies on more than engineering students to drive its success. Exported From Michigan depicts this diverse group's teamwork in the face of serious obstacles as an allegory for the need for Michiganders to work together. The documentary primarily focuses on local responses to Michigan's economic woes, but it does not ignore the continued need for big business. While it introduces urban farmers, craft brewers, small-business owners, and community art and music programs, it also praises Michigan's auto industry for its support of the solar car team and its growing presence in the renewable energy industry. Exported From Michigan also stresses the importance of education to aid in Michigan's economic recovery. The cast of characters is so large that it would be impossible to mention them all without retelling the whole film. Shane Bernardo of Earthworks Urban Farm in Detroit explains how his program provides not only food but also nutrition education and entrepreneurship lessons to youth. Bill Rayl of the Jackson Area Manufacturers Association talks about how Michigan is building the future workforce for a high tech and global economy. Professors from the University of Michigan and Michigan Technological University illustrate how Michigan universities are leading the way in nanotechnology and clean energy. Exported From Michigan hits home on a human level by focusing on people who are defined by their enormous capacity for hope and perseverance. 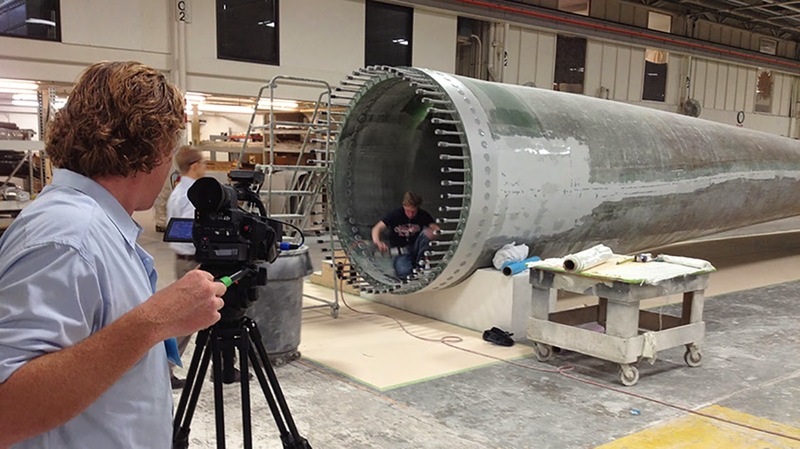 The film shows the future by highlighting the MOSAIC Youth Theatre in Detroit, the Makers Faire at the Henry Ford, the Chelsea High School's First Robotics team, and a boat builder who retooled to build wind turbines. One particularly uplifting moment comes from the students of the MOSAIC Youth Theatre singing "Lean on Me" as images of Detroit's blight give way to views of Eastern Market, the RiverWalk, and other images of a strong Detroit. Exported From Michigan depicts a Michigan full of people who are moving forward and rewriting a story of despair into a story of hope. Exported From Michigan premiered this past summer and has applied to various upcoming film festivals. 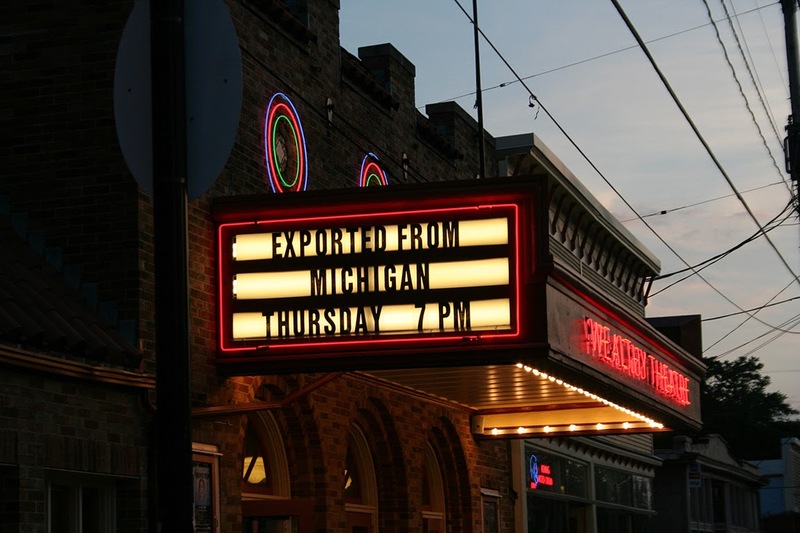 For more information about the film, including upcoming screenings, visit its website at http://www.exportedfrommichigan.com. For my interview with director Jon Vander Pol, please click here.